Family Day Weekend 2019 is quickly approaching, and as usual the long weekend is sure to be a busy one in Jasper Alberta. At the time of writing there is still availability at most accommodations in Jasper for the nights of February 15 and February 17 2019, however availability is limited for the night of Saturday February 16. It is strongly recommended to book your lodging as soon as possible, as most Jasper hotels are likely to fill up at this busy time. To check rates and availability at several hotels in Jasper, click here. 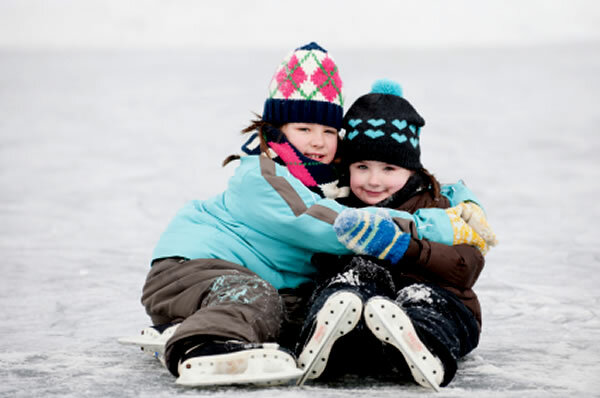 If you are looking for a special package at a Jasper hotel for Family Day Weekend, you should take a look at the Fairmont Jasper Park Lodge, where you can find a Family Day Weekend Package which includes accommodation and a full program of family activities, including parties, movies and lots of fun for the kids. The Family Day Weekend Package is valid from Feb 15 to Feb 18 2019 with rates starting at $399 per night based on 2 people in a Fairmont Room, subject to availability. If you cannot find suitable accommodation in Jasper for Family Day Weekend, you could consider staying at a hotel in Hinton. Hinton is approx 75km east of the town of Jasper, which is a reasonable distance to drive for a day’s skiing at Marmot Basin or a visit to downtown Jasper. To check availability at hotels in Hinton, click here. As Jasper hotels will be very busy for the Family Day holiday, we strongly recommend making reservations as early as possible using the links provided. The Best Western Jasper Inn & Suites is a popular Jasper hotel which offers Studio Rooms and Upper Loft suites each of which has a kitchenette featuring a fridge, microwave, stove with 2 burners, small oven and a sink. In addition, their One and Two Bedroom suites have more extensive kitchen facilities, with a fridge, microwave, stove with 4 burners, full size oven and sink. There is a restaurant and lounge at the hotel, as well as an indoor pool, sauna, hot tub, steam room and free high speed internet. Enjoying a quiet location just 5 minutes from downtown, Lobstick Lodge offers Kitchenette suites which have a separate bedroom and a full service kitchen with refrigerator, stove, microwave oven, toaster, pots and pans, and eating utensils. There is also a family restaurant, cafe and lounge at the property, as well as an indoor pool, hot tubs and fitness centre. Marmot Lodge offers motel style lodging in Jasper Alberta featuring some Kitchen Suites with a full kitchen plus cooking equipment and dinnerware for 6 people. On site amenities include a steakhouse restaurant, lounge, sauna, hot tubs and indoor pool. Maligne Lodge offers a variety of accommodations with kitchen or kitchenette facilities. Both the Family Kitchenette Suites and the Two Bedroom Executive Suites feature a fully equipped kitchen, while their Junior Suites offer a kitchenette. The Lodge also features a restaurant and pub plus an indoor pool, whirlpool, outdoor hot tub and sauna. Tonquin Inn also features a range of accommodation with kitchens, with one bedroom Family Kitchenette Suites and Two Bedroom Executive Suites offering a fully equipped kitchen, and some of their Junior Suites offering a kitchenette. Amenities include a popular hotel restaurant, large fitness room, large indoor swimming pool with whirlpool, outdoor hot tubs and saunas. If you are doing a tour of the Canadian Rockies, it is highly likely that you are planning to visit both Jasper and Lake Louise which means that you will have the pleasure of travelling along one of the world’s most scenic highways, the Icefields Parkway (Highway 93 N). The distance from Jasper to Lake Louise is 233 km, which means that you could theoretically make the journey in around 3 to 3.5 hours, however there are so many places to stop your car and take in the magnificent scenery that it is best to allow most of the day to soak in the natural beauty of the dazzling glaciers, mountain peaks, and pristine lakes and rivers. A quick glance at the Lake Louise hotel map will show you that there are several places to stay in Lake Louise once you have finished your scenic drive, however some people may wish to stay overnight at one of the Icefields Parkway hotels, perhaps to break up the journey or simply to spend more time enjoying this remarkable corner of both Jasper and Banff National Parks. While there is some cabin accommodation located on Highway 93 within a few km of downtown Jasper, the first Icefields Parkway hotel found a significant distance from any town is Sunwapta Falls Resort, which offers cabin style accommodation from May to October in a stunning wilderness setting, 53 km south of Jasper. Further south, located at the Icefield Centre 103 km from Jasper, the Glacier View Inn, open mid April to October, offers 32 guest rooms and is convenient for the Columbia Icefield Glacier Adventure one of the main attractions along the Icefields Parkway. At Saskatchewan River Crossing, you can find motel style lodging from early April to October at the Crossing Resort, 153 km south of Jasper, where you will also find services such as a gas station, dining room, gift shop and pub. If you are looking for a historic hotel on the Icefields Parkway with a stunning lakeside location and glacier views, Num Ti Jah Lodge should fit the bill nicely, around 40 km north of Lake Louise (approx 190 km south of Jasper), open May to October. The Icefields Parkway is open year round, however during the winter months the road is usually covered with snow and ice and winter driving experience is recommended. After periods of heavy snow, the road may be closed, sometimes for several days, so it is always best to check the road conditions before leaving Jasper. Services are limited on Highway 93 and it is recommended to have a full tank of gas before starting your trip! With Jasper’s 2016-2017 ski season already underway, now is a good time to start thinking about a skiing or snowboarding trip to Jasper Alberta. Several hotels in Jasper have put together some attractive ski and stay packages to give you the best value for money when combining your Jasper hotel with lift tickets for Marmot Basin ski resort. If you already have a ski pass, or perhaps you would like to leave your ski plans open, you may prefer to get a hotel on a room only basis rather than a ski and hotel package. For many dates throughout the winter, rooms at some Jasper hotels can be found for as low as $90 per night. To check room-only rates and availability click here. Mount Robson Inn has ski packages available for the 2016-17 winter season which include 1 or 2 nights of accommodations with daily breakfast plus ski passes. Rates vary depending on dates and length of stay, for example the early season one night deal from opening day to December 23 2016 starts at $265 for 2 adults. The Jasper in January rate from January 13 to 29 starts at $407.00 for 2 adults for 2 nights, and the rate for the month of February starts at $612.00 for 2 adults for 2 nights. All rates are based on double occupancy in a standard room and are subject to taxes. One of our favourite ski packages in Jasper is at the Fairmont Jasper Park Lodge which includes free ski passes for Marmot Basin with your hotel room. The Midweek Ski for Free package includes 1 free day of skiing (2 lift tickets) for a 2 night stay, 2 free days of skiing (4 lift tickets) for a 3 night stay and 3 free days of skiing (6 lift tickets) for a 4 night stay. Transportation to and from the ski hill is also included. The offer is valid for a minimum 2 night stay from the opening day of Marmot Basin until the end of season, with rates starting at $309 per room per night. Click here for more information. For low season skiing and riding, the Midweek Snow Days at Marmot Lodge is valid from opening day until December 22 2016 and from Jan 3 to closing day 2017. This offer includes 1 night’s lodging plus a lift pass for Marmot Basin. Rates start at $109 per person per night. Sawridge Inn is offering a Snow Days Midweek Ski Package for stays on Sunday through Thursday. Starting at $143 per person per night, this offer includes accommodations, one Marmot Basin lift ticket per person, plus a hot Canadian breakfast. Also at the Sawridge Inn, there is a ‘3 for 2′ deal which includes a 3 night stay and lift tickets for 3 days, for the price of 2. 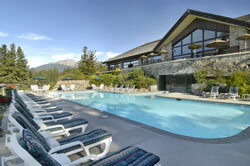 This Jasper ski package must be booked for a minimum 3 night stay and rates start at $360 per person. *The above rates are generally based on double occupancy, and are subject to availability, subject to applicable taxes, subject to change, and certain date restrictions may apply. To confirm full details and for reservations, please visit the Jasper hotel websites using the links provided. For more great skiing in the Canadian Rockies, be sure to check out the Banff ski packages at BanffHotels.org featuring hotel and lift ticket deals in the Banff and Lake Louise area. There is no doubt that the Fairmont Jasper Park Lodge is a magical place to be during the Christmas and New Year holidays, in no small part due to the wonderful events taking place at the hotel throughout the holiday period. Throughout the holiday period there is wonderful range of festive activities taking place at the Jasper Park Lodge which both adults and children are sure to enjoy, including Santa’s Stocking Workshop, Ice Skating, Tobogganing, Caroling by the Fire, Christmas Cookie Decorating, Holiday Bingo, and Christmas Movies. Of course, Christmas wouldn’t be complete without an amazing Christmas dinner to enjoy. Outstanding dinner buffet in the Beauvert Dining Room. Christmas day brunch with a wide selection of breakfast items as well as mouth watering lunch dishes! Christmas dinner buffet in the Beauvert Dining Room. Both the Moose’s Nook and Cavell’s Restaurant will also be open during the holiday period, and reservations are recommended for all Christmas dining. Full details for Christmas activities can be found in the Jasper Park Lodge Festival of Christmas brochure which you will be given when you check in. To check room rates and availability for the Christmas period, click here. In addition to room only accommodation, Christmas 2013 at the Jasper Park Lodge can be enjoyed through the Festival of Christmas Package which includes accommodation in a Fairmont Room, in-room Christmas tree and decorations kit, plus a range of fun-filled Christmas activities taking place at the hotel throughout the holiday period. The package is available from December 23 2013 to January 5 2014 and rates start at $379 per night based on double occupancy. *The Festival of Christmas Package is subject to availability, subject to change and does not include meals. For other Jasper Christmas packages for 2013, click here. Whether travelling from Alberta or further afield, a romantic break with your loved one surrounded by the majestic Canadian Rockies in Jasper National Park can be the perfect way to relax and rejuvenate with your significant other. Some couples visit Jasper because of the abundant peace and quiet while others enjoy exciting winter activities together such as skiing at Marmot Basin or hiking the Maligne Canyon Icewalk. If you are looking for a special dinner, there are several excellent restaurants in Jasper to suit any occasion, and strolling through the quaint streets of downtown, visiting cafes and browsing in shops is a great way to laze away a few hours. To help you make the most of your fall and early winter visit to Jasper, Mount Robson Inn is offering a Suite & Sparkling Package which includes two night’s accommodation in their Sunwapta Suite with Jacuzzi tub plus sparkling wine in your room when you arrive. Starting at the rate of $416 for a 2 night stay from September 15-30 2014 and $334 for a 2 night stay from October 1 to December 24 2014 Mount Robson Inn’s Suite & Sparkling Package includes a two night stay in a Jacuzzi suite and a bottle of bubbly, as well as breakfast for two. This makes an ideal couple’s getaway package whether you are visiting Jasper for a romantic getaway, a special occasion or just because you both deserve it. Easter is a wonderful time to visit Jasper Alberta, with the skiing at Marmot Basin still wide open and a hint of spring in the air downtown. In 2012 Easter Sunday falls on April 8, and with record snowfall this winter, the skiing and snowboarding conditions are sure to be still excellent for the Easter holiday weekend. You can expect Jasper hotels to be busy for Easter 2012, particularly for the night of Saturday April 7, so if you are planning an Easter ski trip, or just a weekend taking in the beauty of Jasper National Park, you should book your lodging early to avoid disappointment. To check rates & availability for several hotels in Jasper, click here. To celebrate this special weekend in style, the Fairmont Jasper Park Lodge is offering a fun filled Easter Weekend Package which includes luxury accommodation, plus a whole array of family activities throughout Easter weekend. The Easter activities include Easter egg hunt, family movies, scavenger hunts, crafts, Easter egg decorating, and lots more. The package is valid for a minimum 2 night stay from April 6-8 2012, with rates starting at $349 per night in a deluxe room. As usual, dining at the Jasper Park Lodge during Easter will be first class, with a Good Friday Buffet being served on the evening of April 6 (adults $58, kids 6-12yrs $29), an Easter Feast on Saturday April 7 (adults $58, kids 6-12yrs $29), and an Easter Sunday Brunch from 10am to 1pm on April 8 (adults $38, kids 6-12yrs $19). The idea of putting your feet up in front of the fire in a cozy log cabin after a day on the slopes is a dream many of us have had. While there is certainly a good variety of cabins in Jasper, most are closed for the winter season, however the following Jasper cabins are open year round and can turn that dream into reality. The Bear Hill Lodge offers cabin and chalet style lodging in a quiet forested refuge, yet is conveniently located within walking distance of the shops and restaurants of downtown Jasper. With a variety of accommodations ranging from chalet rooms to deluxe chalet suites, the Bear Hill Lodge caters to all tastes and budgets, but those looking for the Canadian Rockies cabin experience will surely be drawn to the Heritage Log Cabin. These two bedroom cabins boast a full kitchen, full bathroom, plus a sitting room with a gas or wood burning fireplace. The bedrooms have either one double bed or a double plus two twins, and there is a double pull out bed in the sitting area, meaning that a variety of family scenarios can be catered for. With the beautiful log construction visible on the inside, the cabins have a wonderful rustic charm, made even more cozy when surrounded by a blanket of snow. For further information, rates and for reservations, please visit the Bear Hill Lodge website by clicking here. Another excellent option for Jasper cabin accommodation during the winter season can be found at Pocahontas Cabins, located in a stunning natural location 25 minutes drive from downtown Jasper and just 5 minutes from the Jasper National Park east gate. The Panebode motel units are keenly priced and will suit those with their eye on the budget, however it is the Deluxe Log Cabins that will really appeal to those looking for a romantic retreat. These cabins feature a queen bed, full kitchen and bathroom, a living room with TV/DVD, gas fireplace, verandah and the fabulous setting means that you’ll enjoy magnificent mountain views right from your door! To find out more and for rates and reservations, please click here to visit the Pocahontas Cabins website.